Only 100 people had been invited to the show (editors and friends of the designer: photographer Nick Knight, Alber Elbaz (Lanvin), Kate Moss and Jamie Hince (The Kills), colleagues Manolo Blahnik and Christopher Bailey and one of his biggest fans Anna Wintour. The occasion? 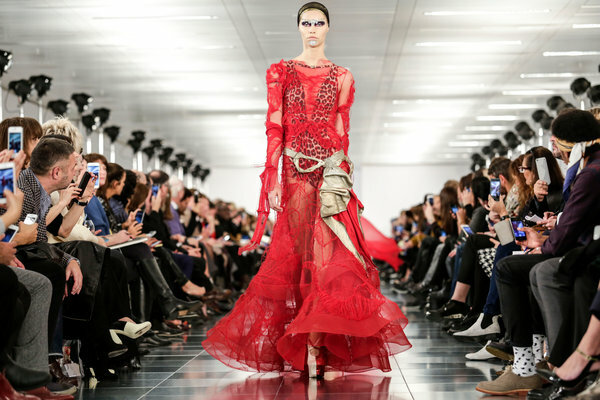 The long expected return of fashion ‚enfant terrible’ John Galliano for Maison Margiela. Galliano was not the obvious, minimal media-avoiding successor of Martin, but as I said when the news was announced a year ago: it was going to be controversial. Or a complete failure, or a bomb.